hd00:20Sky time-lapse in the Sunrise. hd00:09Long shot of a helicopter flying over low hills at golden-hour. hd00:19Pan of a glowing dusk sky with the sun setting behind Iranian Eynali mountains. 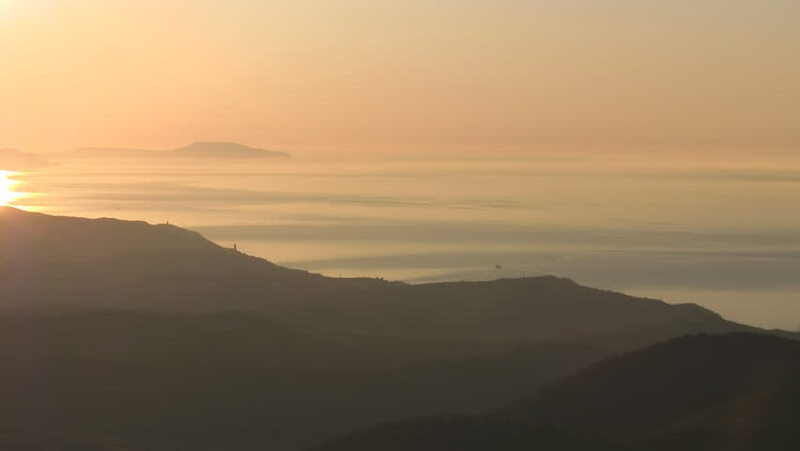 hd00:27Beautiful orange sky as the sun sets over the mountains of the Mediterranean in Southern Europe.